Chatham Squire/Cape Cod Beer Pint Glass - A 16 oz. glass with the Chatham Squire Seagull on one side and Cape Cod Beer logo on the other side (dishwasher safe). 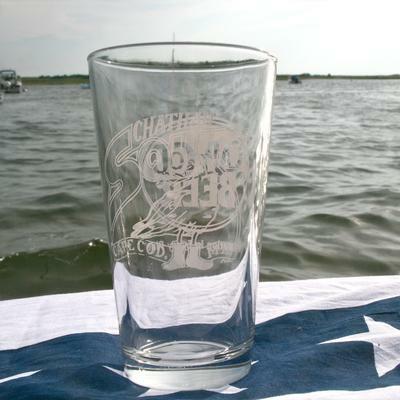 I found this item, Cape Cod Beer Pint Glass, in the Accessories-and-More section for sale on the Chatham Squire online store.